The Kasteel beer line has been at the heart of Castle Brewery Van Honsebrouck in Izegem, West Flanders — a family run Belgian brewery primarily known for its characterful top-fermented beers. The Kasteel range largely mirrors the rich Belgian beer tradition as it includes a blonde, a dark beer of the dubbel type and a tripel. But, Cuvée du Chateau is the crown jewel within the Kasteel range since it was first brewed in 2010. It found its inspiration in the subterranean cellars of Ingelmunster Castle, obviously before a fire destroyed the castle and the brewery rebuilt “The Bierkasteel,” literally, “the Beer Castle.” Far from being just a beer production facility, Van Honsenbrouck’s Bierkasteel has ambitions to become one of the biggest tourist attractions in West Flanders. That’s all fine and dandy, but this column isn’t a tourism column. It’s Fancy Pants Sunday, a weekly look at complex, big, and, well, fancy beers and Kasteel Cuvée du Chateau fits the bill. 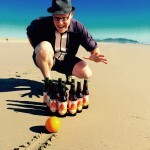 Inspiration from subterranean cellars? Indeed. After 10 years of maturation, bottles of Kasteel Donker started to acquire the taste of Madeira and port. Brewmaster Hans aimed to achieve the same effect using a standard brewing process without the time it would take to mature. And thus the Cuvée du Château (11%) saw the light — although it’s a dark beer with a deep brown color. If poured correctly it will yield a voluptuous frothy head, which has almost the color of mocha. As previously mentioned, Cuvée is a lightly madedairised beer (slightly reminiscent of Madeira) with touches of both caramelized and roast malt, with a subtly bitter taste of the best English hops in the finish. You fancy, Kasteel De Cuvée du Chateau. 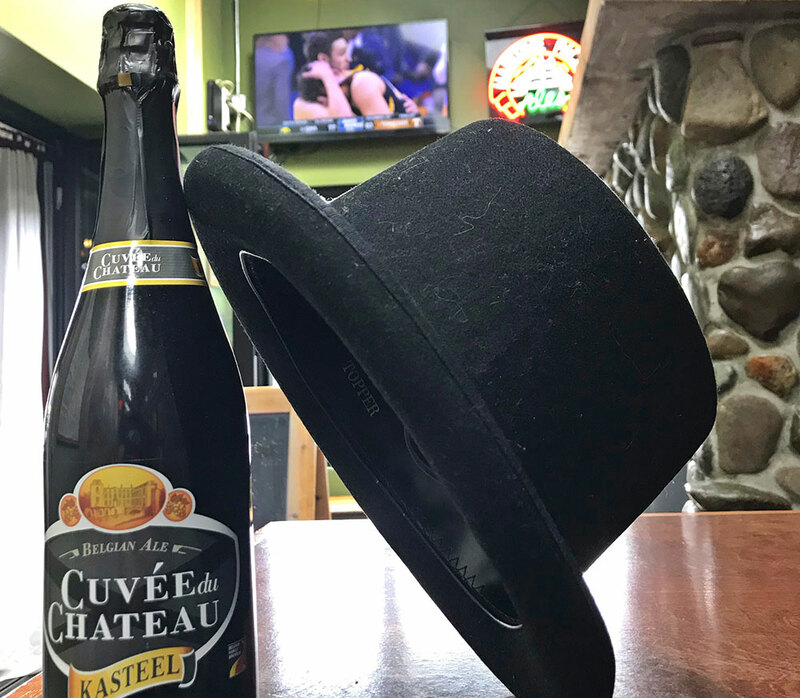 Peaks and Pints carries the champagne bottle size of Kasteel De Cuvée du Chateau in our cooler. Drop by our castle and share a bottle with friends.